Nicki Minaj began shooting the visual for the track "No Frauds" last month in London & she's getting very close to premiering the diss song. 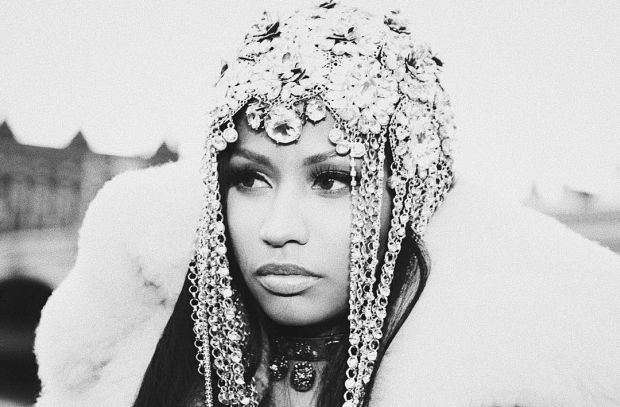 To build the already hotly anticipated buzz the queen of rap has unveiled a preview of the video & the Barbz are loving it so far. In the Benny Boom directed clip it briefly shows Minaj reciting bars from the lethal record, but before the preview comes to a surprising end it finishes out with the sound of a gun being cocked. Minaj also shared some behind-the-scenes footage of her on-set while putting her singing voice on display with a opera inspired version of the song. Drake who is featured on the record makes a very brief appearance, while Lil' Wayne will not be in the video at all. i love you this video is awesome .